The grave of American Revolution hero Col. William Ledyard is marked with a granite obelisk in the Groton cemetery that bears his name. 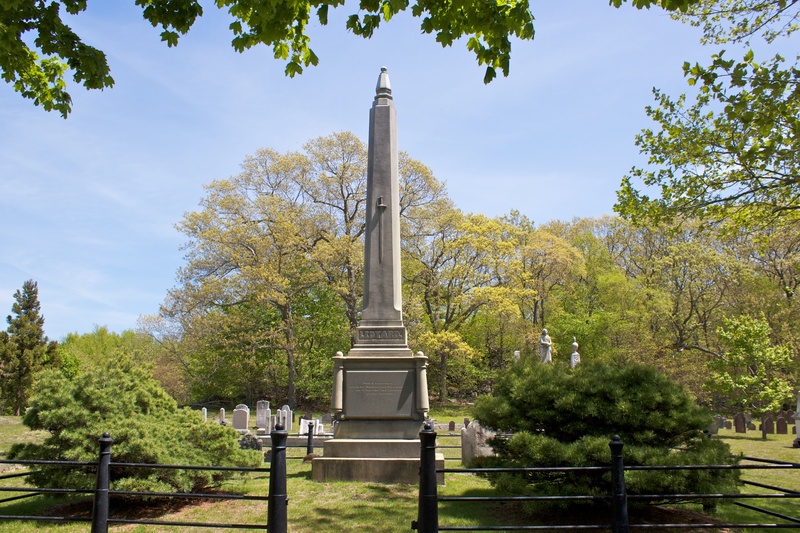 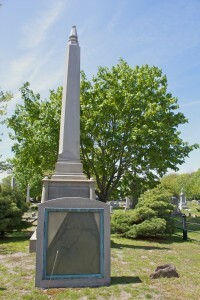 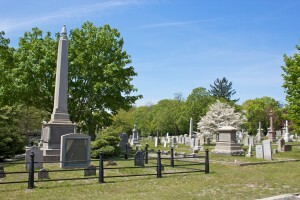 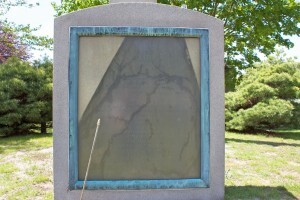 The monument honoring Ledyard was erected in 1854 next to the original slate gravestone, which had been damaged by souvenir hunters following the colonel’s death during the 1781 Battle of Groton Heights at nearby Fort Griswold. 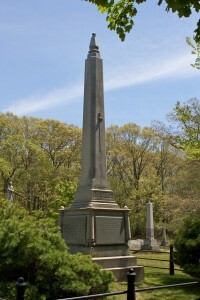 The monument’s front (west) face bears Ledyard’s name and a sword, symbolizing Ledyard being killed with his own sword after handing over to a British officer while surrendering the fort. 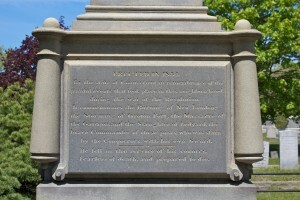 The monument’s north face, now difficult to read, is inscribed with the text of Ledyard’s original headstone. After the dedication of the 1854 monument, that stone was enclosed in a granite marker with a window and placed on the east side of the plot. 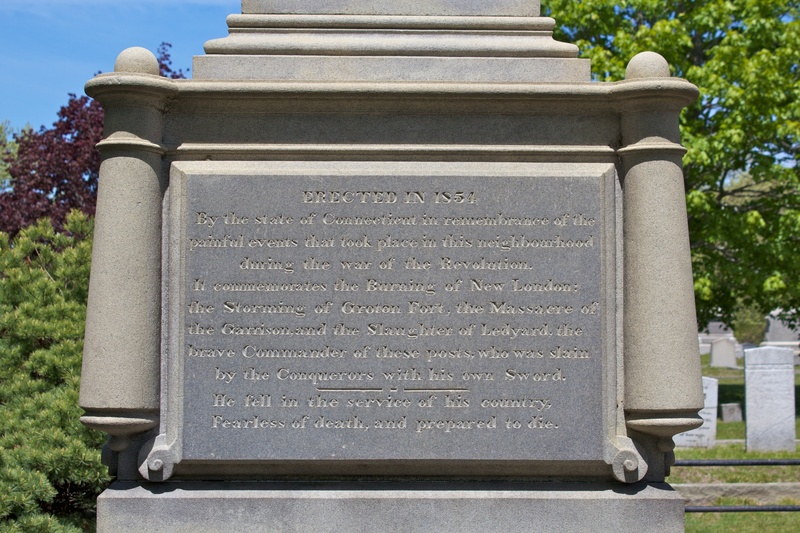 Cannons can be seen on the four corners of the monument, as well as in the posts of the iron fence surrounding the Ledyard plot.